Congratulations to "Linda H." and "Linda S." the winners in Susanne's giveaway. Please contact JUST ROMANTIC SUSPENSE to claim your prize. Thank you to all who participated! It’s a pleasure to be here again. Thank you, Maureen for having me. 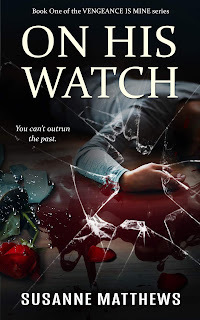 As always, comment on this post for your chance to win one of two electronic copies of On His Watch, Book One of the Vengeance Is Mine Series. As a writer, I’m constantly evolving and learning. Unfortunately, that doesn’t always involve forward motion. Sometimes if means stopping, stepping back, and saying, “I wish I’d added this, done that, or changed the way that happened.” Writing can be the most rewarding thing, but it can also be fraught with disappointment. When Simon and Schuster bought my publisher, Crimson Romance, I was elated, but a year later, they closed the imprint. While they still carry many of my books, I was able to get the rights back to three of them. I faced an interesting dilemma. It wasn’t the first time I’d had a publisher do something similar, and knew I would republish the books on my own, but the question was how would I revise them? Would I simply read through and eliminate any typos that had been missed? I would need new covers, of course and Melinda De Ross, my cover artist did a fantastic job. When I saw the covers, I knew she needed terrific books to go with them. Then it hit me. All three books had a common theme—Revenge. While it was front and center in one book, it was more secondary in the others. So I decided to exploit that similarity, playing up the thriller and suspense aspects while maintaining the romance, and making it more believable. As well, I modernized to stories to fit with today’s current climate. In the end, I had three novels, that, while similar in nature to the original, have many great new scenes, including new beginnings and new endings. I used the comments from the original book reviews to iron out the rough spots, clarify issues, and add zing to both the romance and the suspense aspects, making them more romantic thrillers, hoping to appeal to those who thrive on the suspense. If you’re a fan of crime solving shows like Criminal Minds and Castle, I think you’ll enjoy the changes. I also added additional characters and in some cases, allow you to see things from their points of view. After all, in a crime, motive is everything. The series starts with On His Watch. You can’t outrun the past. Book Two Introduces you to a truly sick mind in Fire Angel. 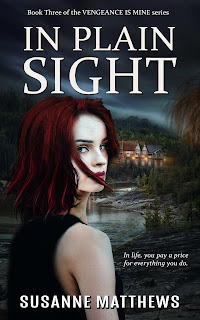 The third book in the series, In Plain Sight, includes a bonus visit from Jake and Alexis McKenzie, the main characters from Fire Angel, providing the readers with a glimpse of what’s happened in their lives. 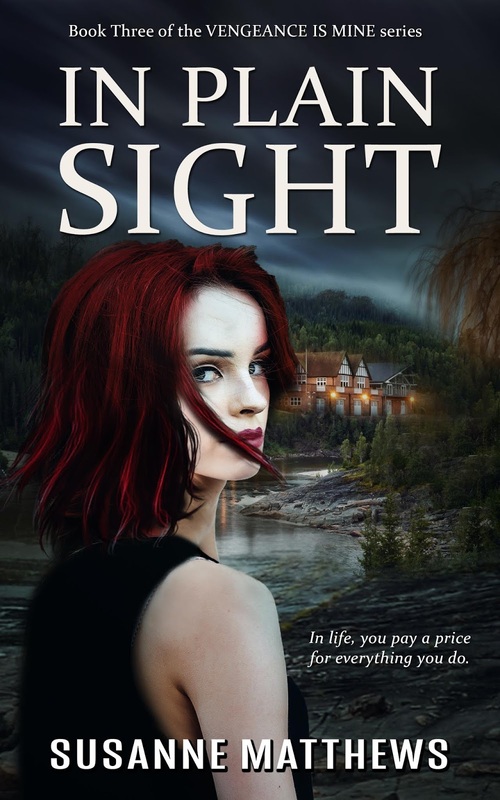 In Plain Sight will be released in early July. Watch for it. A former concert pianist and CIA courier, Nick lives in darkness ever since the accident that killed his wife. The doctors say there’s nothing wrong with his vision, so why can’t he see? Hiding from his former life, he reluctantly agrees to help with the musical and is drawn to the young singer with the voice of an angel. 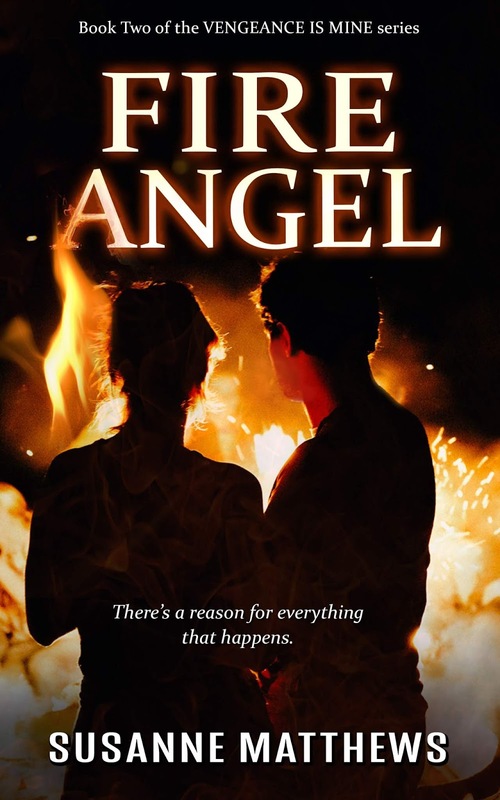 When a mysterious fire destroys her home, Nick vows to keep her and her daughter safe. After one suspicious event leads to another, Nick is determined to protect them from an unknown assassin, but in order to do that, he needs to know her secrets. With his money and connections, he’ll do whatever it takes to save the woman he loves, but does she love him enough to reveal the truth? Like OnHis Watch and Fire Angel, In Plain Sight will be available from Amazon for the introductory price of 99 cents USD. All three books will be available to read free through KU. Thanks again for letting me visit and I hope everyone has a safe and happy summer. 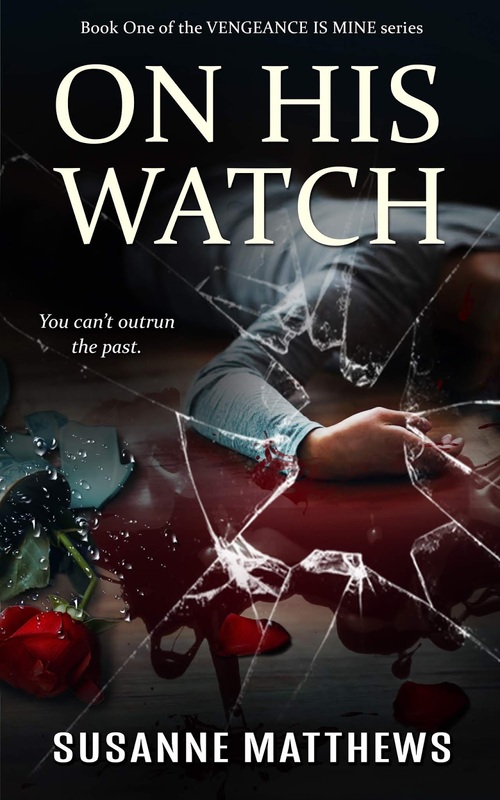 Comment on this post for your chance to win one of two electronic copies of On His Watch, Book One of the Vengeance Is Mine Series. You are a new author to me but I enjoy reading romantic suspense and your books sound like stories I would really enjoy. I also like reading law enforcement books too. Thank you. I hope you do get a chance to read them. I love engaging new readers. Thank you so much for having me. I love sharing my work with your followers. There are more sick minds out there than many realize. We are lucky to have those who dedicate their lives to finding them and stopping them from doing more damage. This series sounds like it will be a good exploration of the evil of criminals and those who try to stop them.